Lily Vuong, Central Washington University: “The Apocryphal Mary in Text, Pictorial Art, and Iconography"
This project examines the ways in which Marian Apocryphal material culture (mosaics, sculptures, ivory carvings, book covers, illuminated manuscripts, physical space of churches, etc.) were used to reinforce early Christian devotion, faith, and piety. At the same time, it also aims to explore the reciprocal relationship between text and art, and how early Christian identities shaped by Marian apocryphal literature intersected with the identities of those who valued Marian material culture as a necessary component to their religious lives. Kevin McGinnis, Stonehill College: “Does a Priestly People Have Priests? Early Christian Leadership in its Polytheistic Context"
The research funded by this grant will contribute greatly to an analysis of how Christians came to represent their ecclesiastical leaders as priests from the third to sixth centuries C.E. The standard narrative of how the priesthood developed starts with the period of the Jesus movement and proceeds rather uncritically from there. This narrative has largely determined how early Christian art has been interpreted. This project will counter that narrative, in part through a comparison of Christian and Roman depictions of religious leaders. The ultimate goal is to show how, when, and why Christians appropriated the title ‘priest’. 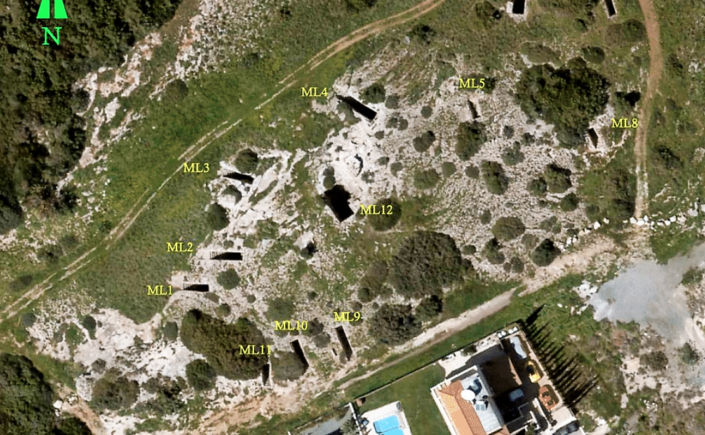 This project calls for systematic excavation, documentation, preservation, and publication of a newly discovered rock-cut tomb at the Meletis Necropolis, southwestern Cyprus. Preliminary investigation suggests a family tomb established in the second century BCE under Ptolemaic Egyptian influence, continuing in use through Late Roman times. The tomb preserves a prime example of monumental funerary culture in Hellenistic Cyprus, Ptolemaic influence in the Paphian countryside, and the evolution of Alexandrian funerary display strategies into Roman times. Investigation of this unique sepulcher provides a vital first step in writing a comprehensive social and cultural history of Hellenistic/Roman rock-cut tombs in Cyprus and across the Mediterranean.